We often take our ears and sense of hearing for granted. However, this can all change as we frantically search for home remedies for ear infection symptoms that trouble us, or a loved one. An infection of this kind is not only painful but, if left untreated, can lead to more serious medical complications. The ear is an intricate part of the body and knowing how to treat an infection will hinge largely on your knowledge of its structure, how to identify an infection and how they affect people in different ways. It is also important to evaluate the problem with a sense of urgency so that treatment can begin sooner rather than later. The longer you wait, the worse the problem will get. The ear is divided into three main areas and, therefore, there are three main types of infections that can occur depending on where the problem lies. 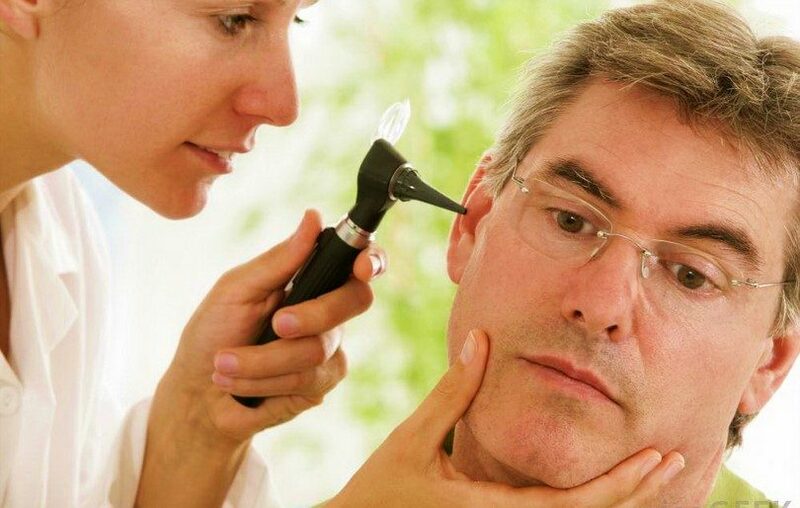 The location of the problem will also help you determine how to get rid of an ear infection. These three sections are known as the external, middle and inner ear. An external ear infection affects the outermost part of the ear or ear canal. When the ear canal becomes infected and swollen, it can result in extreme pain. The good news for those looking for information on how to cure an ear infection of this kind is that all hope is not lost! There are several ways in which home remedies can help provide fast relief (see below). The most common of all types is a middle ear infection, and it affects the area behind the eardrum. This can make it quite difficult to treat since the eardrum is blocking the way. If there are tubes in place that perforate the eardrum, it will allow air and liquids to pass through. Should this be the case, external treatments will be able to reach the source of the problem. Inner ear infections are painless and far more difficult to diagnose since they cannot be seen using regular equipment. Instead, the patient will be diagnosed by undergoing an audiogram. 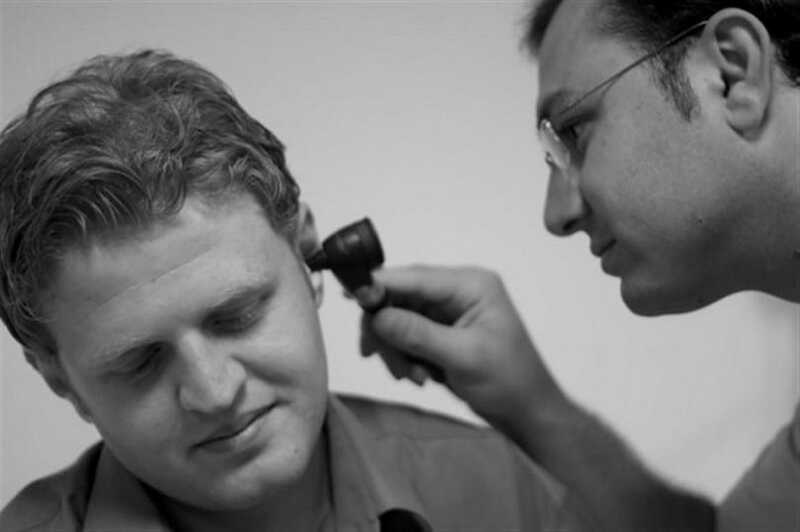 When researching information on ear infection cures, you will come across several options. Different types of infections each have different causes. Prevention is always better than cure. So, before you find yourself searching for ways of getting rid of an ear infection, you should understand how to prevent them. Outer or external ear infections are often referred to as “swimmer’s ear” since they most often affect those who live in high humidity areas or spend plenty of time in the water. You don’t have to swim for this problem to arise. Excessive scratching or ear cleaning can reduce the amount of wax protecting the ear. 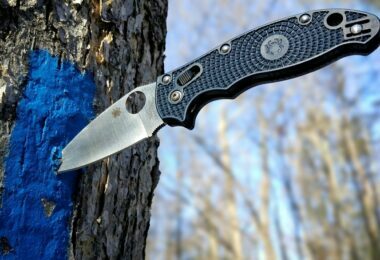 Friction and the lack of wax can often result in an infection. Middle ear infections are either bacterial or viral. Bacteria like Streptococcus pneumoniae, Moraxella catarrhalis, and Haemophilus influenzae, are likely causes as well as viruses like the respiratory syncytial virus and the flu. As for the inner ear, these problems are usually as a result of a virus and sometimes caused by bacteria. In many cases, they run their course and go dormant. They can flare up again from time to time but are highly unpredictable. You should not try to treat an ear infection unless you are sure that it is indeed the case. While it is essential to know how to rid your body of an ear infection, it is equally important to know how to conduct a proper diagnosis. The symptoms of an outer ear infection include redness, swelling, pain, discharge (pus) and excessive fluid drainage, muffled hearing, itching and the area being warm to the touch. Symptoms associated with middle ear infections include pain, fever, vomiting, drainage (thick and yellow), possibly burst eardrum, ringing ears (tinnitus), dizziness and difficulty hearing. Inner ear infection symptoms include pain, a sense of fullness in the ear or a loss of hearing, tinnitus (ringing in the ear), vertigo, nausea, vomiting, and dizziness. You may even find it difficult to focus your eyes since the affected area is so close to the eye and various related nerves. Some people have a higher risk than others of developing ear infections. These points will help you prevent and diagnose the problem. Age is a significant factor when deciding how to remedy an ear infection. 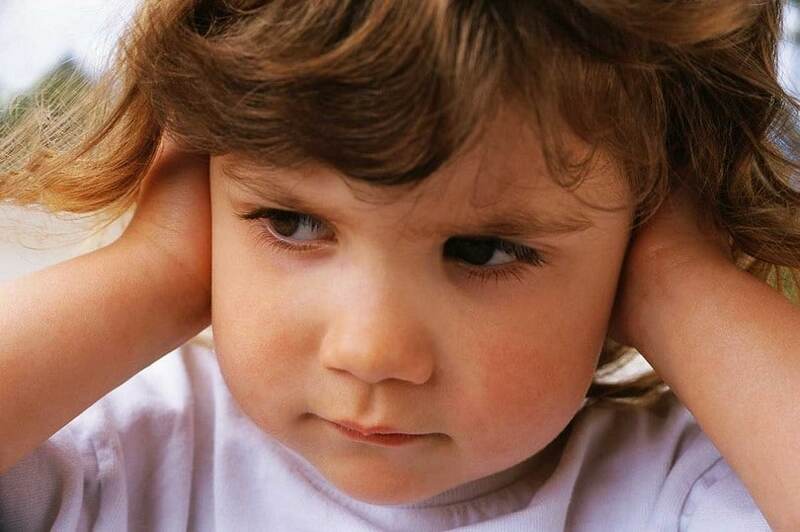 Children younger than three years are often susceptible to ear problems as a result of a recent cold or flu. Birth defects may affect how you choose to deal with an ear infection. Children with Down Syndrome and cleft palates are at higher risk, and they might not benefit from repeatedly taking antibiotics. 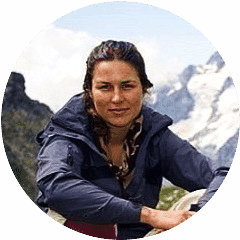 A compromised immune system makes everyone more prone to all kinds of illnesses, so this point should come as no surprise. If there is a family history of ear infections, it increases the risk of other family members. Allergies can also increase the chances of developing an ear infection. This is particularly due to the way in which allergies cause blockages in the Eustachian tubes in the ears which can result in a fluid build up inside the ear. Check out our home remedies for allergies to help you. Persistent and repeating upper respiratory infections or colds can often cause ear infections. If babies experience their first ear infection before the age of 6 months, they will likely be more susceptible to them in the future. Whether you are on a family camping trip in the woods or at home in the middle of the night, you won’t find stores, pharmacies or doctors at the drop of a hat. It’s times like these that you need to be aware of all the possible ways of curing an ear infection. 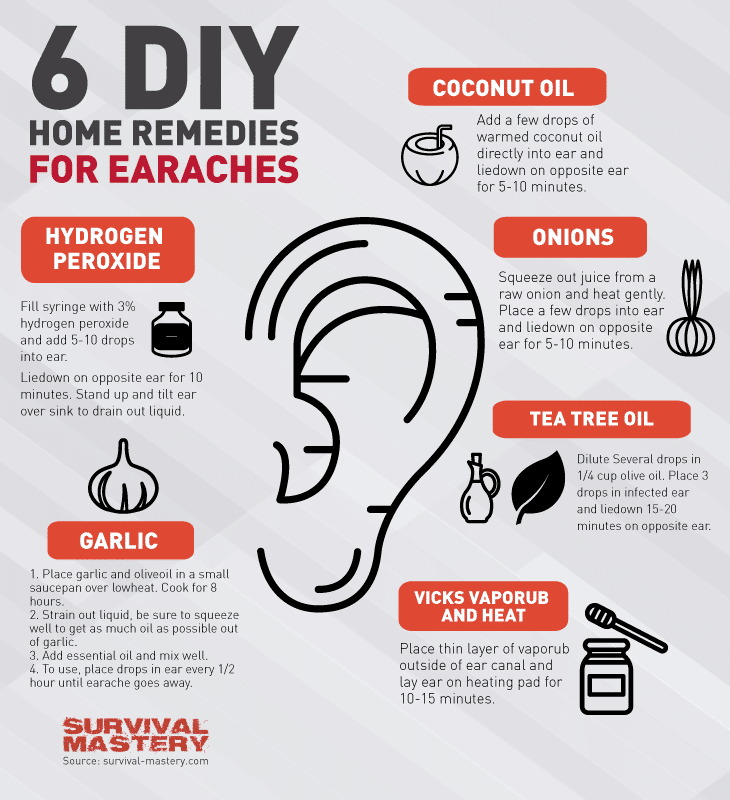 While conducting research on how to tend to an infected ear, you are bound to hear plenty of home remedies involving garlic and garlic oil. 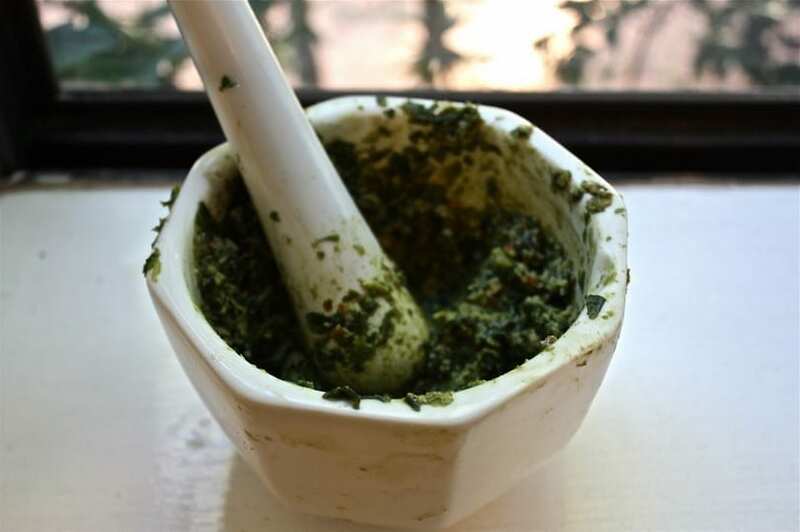 It is known for its antimicrobial properties that act as a natural pain reliever. 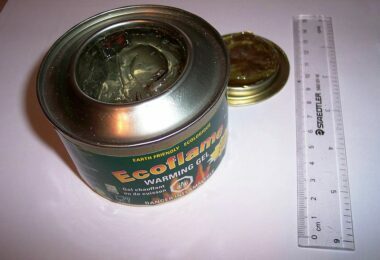 Garlic oil can be bought online or in health stores. You can also make your own garlic oil by cooking 2 cloves in 2 tablespoons of sesame or mustard oil until it starts to turn black. Wait until it cools down a bit before straining the oil. Once it is cool to touch (but not too cold), you can place two to four drops inside the affected ear. You could also boil two or three cloves in some water for about 5 minutes before crushing them and adding a bit of salt. 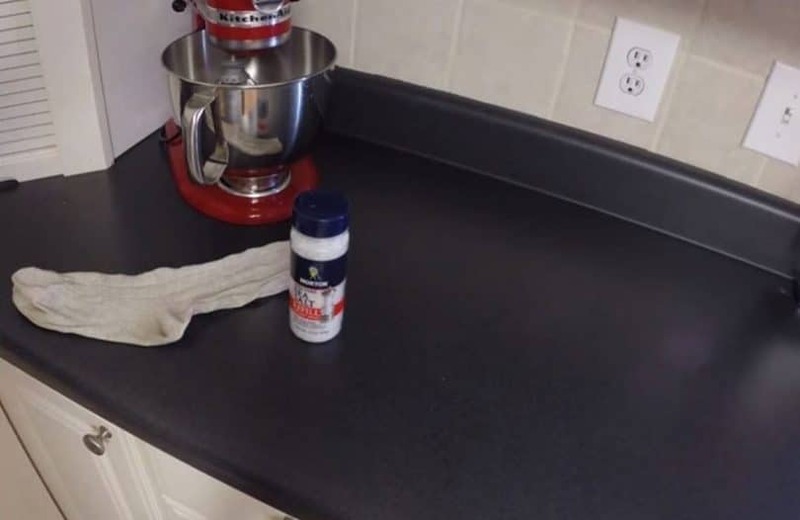 Place the mixture in a clean cloth and press it up against the affected ear. 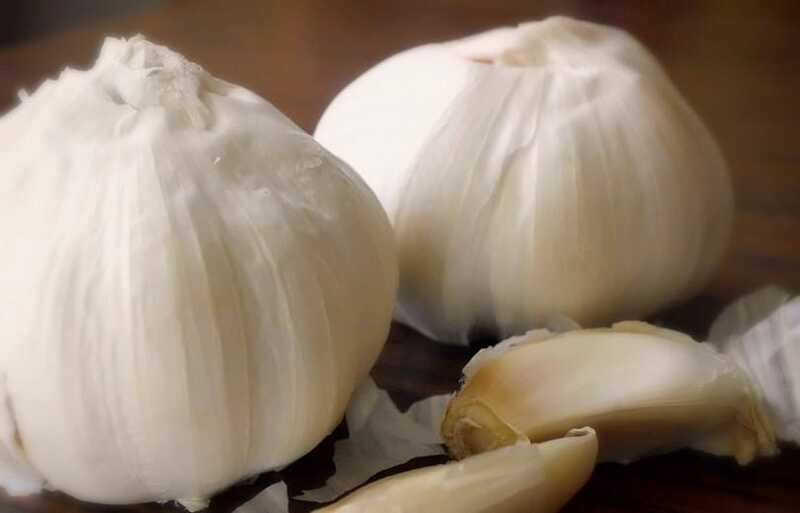 You can also eat two or three cloves of raw garlic per day while you’re on the mend. Garlic helps promote healing so you will be treating your condition both internally and externally. The buds and flowers are infused in olive oil and applied to the affected ear in the same way as you would garlic oil. You can buy mullein oil or you can make your own by gathering enough of the flowers to fill a small jar to the halfway mark. 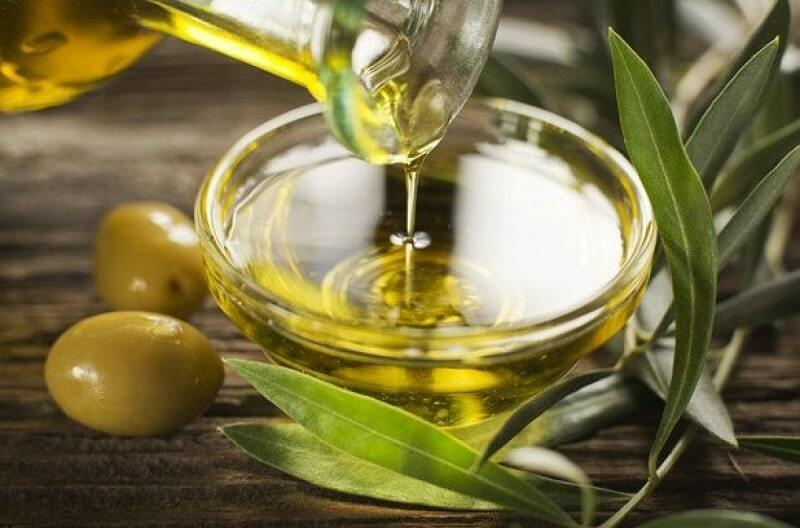 Cover the plant material with olive oil, cover with a lid and allow it to sit for a week or two. Once you have let enough time pass, it’s time to strain the mixture and place it in a bottle (preferably tinted to keep the light out). If you like, you can also add a clove of garlic (chopped) for more ear infection-fighting power. Onion is something we all keep in our homes, and we often take some along when we go camping too. As delicious as they are, they are also great for treating ear infections. There are two ways of using onions as a form of treatment. Firstly, you can chop one up, place it in a bowl and microwave for a minute or two. Allow it to cool down before you squeeze out the juice. Put two or three drops of this juice in the affected ear and let it sit for several minutes before turning your head over and letting the liquid drain out. Alternatively, you can bake an onion for approximately 30 minutes and cut it in half. Place one half inside a thick piece of cotton cloth. 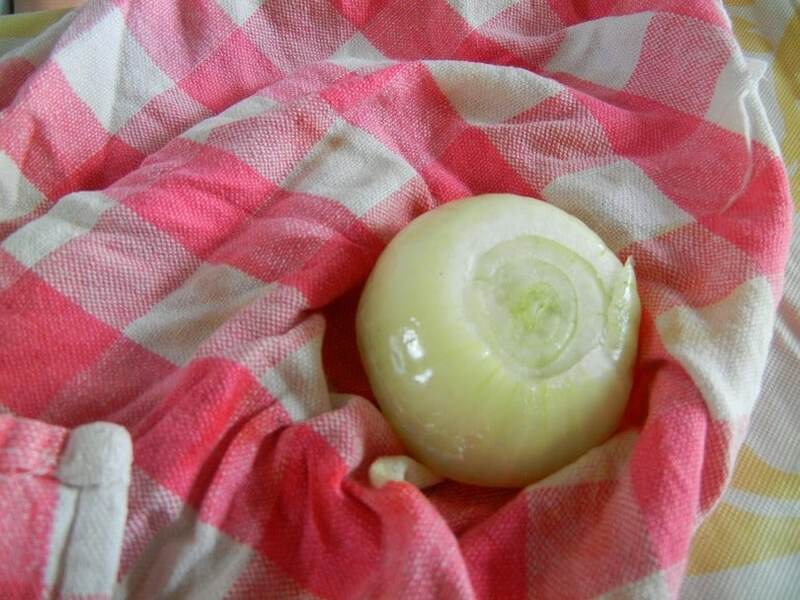 Put the cloth with the onion on the affected ear for approximately 5 minutes. Wait for approximately 10 minutes and repeat this process. If you are nowhere near civilization or camping in the woods, you will need to figure out another way of heating up the onion. Don’t place it directly over the fire but rather use a double boiler method to prevent the onion from drying out while it heats up. Holy Basil is a popular treatment for earache and infections. It is known to reduce the infection while offering significant pain relief. To use basil, you will need to crush four or five leaves to extract the juice (do so gently). The juice can then be applied on or around the affected ear but should NOT be applied inside the ear! Alternatively, if you have access to a carrier oil like coconut oil, you can mix an equal amount of basil oil with this oil and use a cotton ball to apply to the entrance of the ear. This can be done twice a day. Salt is something we usually have in abundance at home, and we most certainly take it along when we go on trips. Even if you don’t have salt, you can usually find some at just about every corner store. Salt can be used by heating it up, placing it inside a thick cloth (like a winter sock), securing the cloth shut and placing it on the affected ear for up to 5 minutes. Repeat a few times a day to help draw the fluid out and relieve the pain and swelling. Do read on our piece on the benefits of salt for added information. In case you don’t have any salt on hand, you can do the same with rice. In both instances, you should avoid warming up salt or rice in the microwave! It can cause the cup or bowl to crack or shatter due to the intense heat. Instead, you should use a double-boiler method. Heat is known to relieve all sorts of types of pain, including earache. There are several ways in which you can apply heat to your ear. The most popular being a hot water bottle or heat pad. If you don’t have either of these available, you can dip a clean cloth in some lukewarm water, ring out any excess water and place is on the affected ear. It is important to apply heat for no more than 5 minutes. Take a break for about 10 minutes before repeating this process. A leading cause of many ear infections is the development of a bacterial or fungal growth affecting the ear wax with leads to blocked Eustachian tubes. The obstruction can be effectively cleared with the help of olive oil. You simply need to warm some up just a little (not too hot) and apply a few drops into the affected ear. 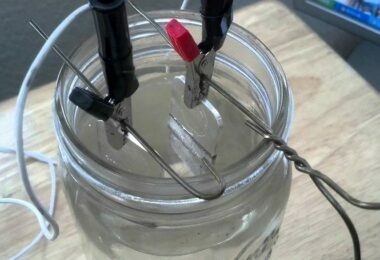 The warm oil helps soften the infected wax that can be removed with the help of a cue tip. Be careful not to slide the cue tip too far inside the ear or you may cause more harm than good. An alternative to olive oil is mustard oil, but this might not be as readily available. 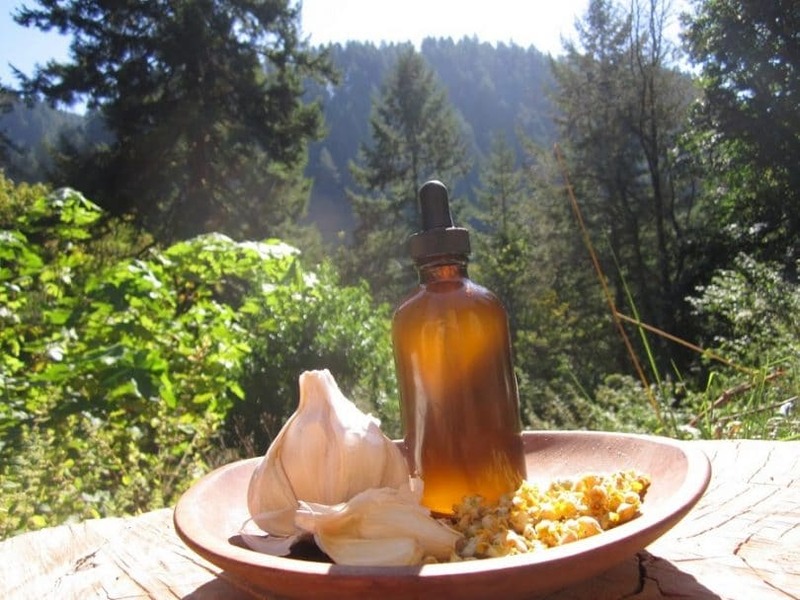 An herbal steam inhalation is an effective way of treating ear infections. The steam helps reduce the swelling inside the nose caused by the cold and dry winter air. In this way, airflow to the Eustachian tubes is increased, and the vapors help treat all of the affected areas including the ears. Preparing such an inhalation treatment is really easy and can be done anywhere. You will need about a handful of fresh or dry herbs like Elderberry flowers and German Chamomile. Add the flowers and herbs to boiling water and take deep breaths through your nose and exhale through your mouth. To enjoy maximum results from this treatment, you should cover your head with a piece of material or towel. This traps the steam around your face so that the steam you inhale is more concentrated. 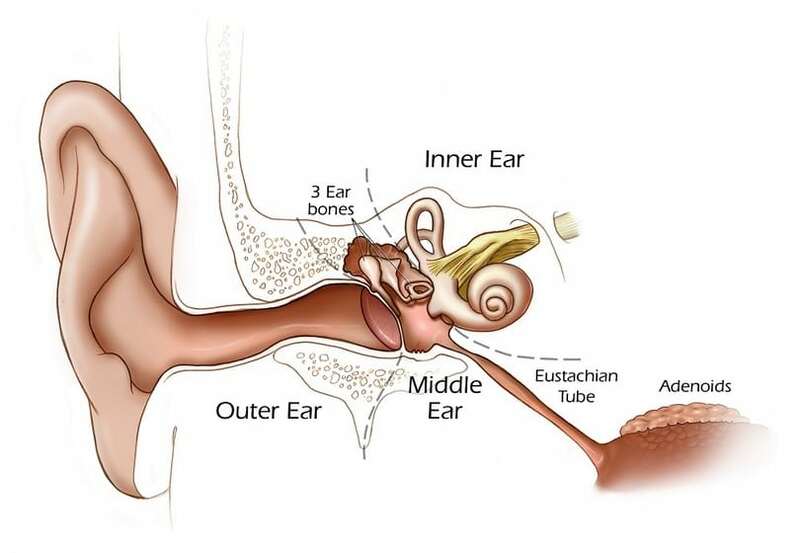 When you consider the structure of the ear, it will become clearer how they are connected to other parts of the body. This is exactly why we have ear, nose and throat specialists. Treating an ear infection externally can be complimented by taking a natural internal approach as well. 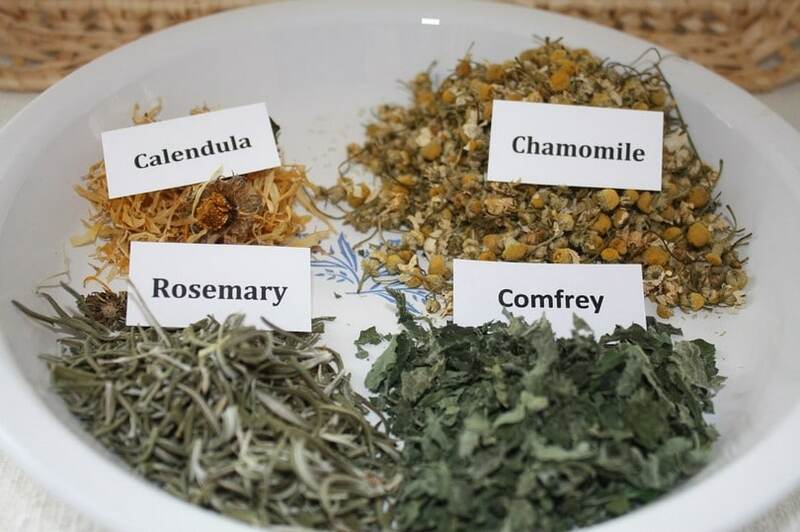 Make yourself some tea with such herbs/flowers as German Chamomile, Echinacea, and Holy Basil. Add the plant material to boiling water, cover and allow steeping for a few minutes before straining. Drink the tea as hot as possible without burning your mouth. While waiting for it to cool down, you can inhale the vapors through your nose. Enjoy a few cups each day to help fight off the infection, boost your immune system and encourage relaxation. Honey is known as a natural antibiotic. 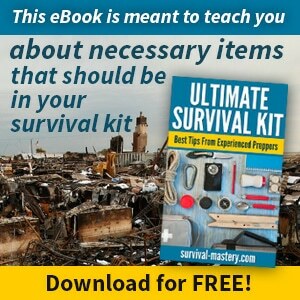 It can be used internally and externally. Simply swab some honey around the ear canal’s perimeter and feel free to add some to your tea or simply eat a few spoonfuls each day. Honey is a natural sweetener so feel free to add it to your coffee, cereal and other foods instead of sugar. Check out the many healing features of honey to add to your knowledge. You will still enjoy the sweet flavor with added benefits. This one might sound strange, but breast milk is known to treat several ailments including ear and eye problems. Simply apply a couple of drops into the affected ear every two hours. This is particularly suitable for infants since they might be sensitive to other forms of treatment. As important as it is to act as soon as possible, it is also vital that you understand what you are up against. Learning how to deal with ear infections also means that you need to know when to seek medical advice. Home remedies and information on how to treat ear infections are extremely helpful when you are far from any professional medical care. However, it is essential that you go for a check-up as soon as you can. Your doctor might like to prescribe a course of antibiotics or recommend another form of treatment if your body is not responding quite as it should to natural home treatment methods. Not all people suffer from the same symptoms and, in some cases, ear infections may have mild or no symptoms at all. Anyone looking for the best cures for an ear infection should consider how the symptoms indicate the type of infection (outer, middle or inner ear). How you get rid of an ear infection largely depends on age as well as the type of infection. Cotton balls can help protect the ear from exposure to the elements and can help hold the remedy in place so that it can take effect. If symptoms do not improve or get worse, you should seek medical attention immediately.